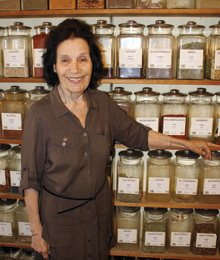 “I still feel his presence here all the time,” says Evelyn Dorfman. 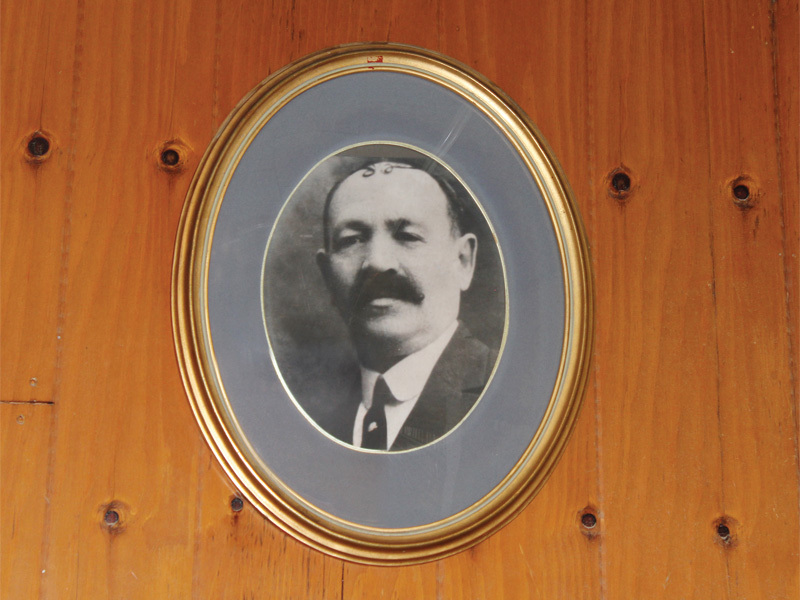 The petite, moxie brunette is staring at an oval-shaped frame featuring her late grandfather Max Harriman Thuna, founder of the famed family business she’s been running for the last 24 years. “He listens to the various conversations here, there’s a vitality to him,” she adds of the patriarch she barely knew. 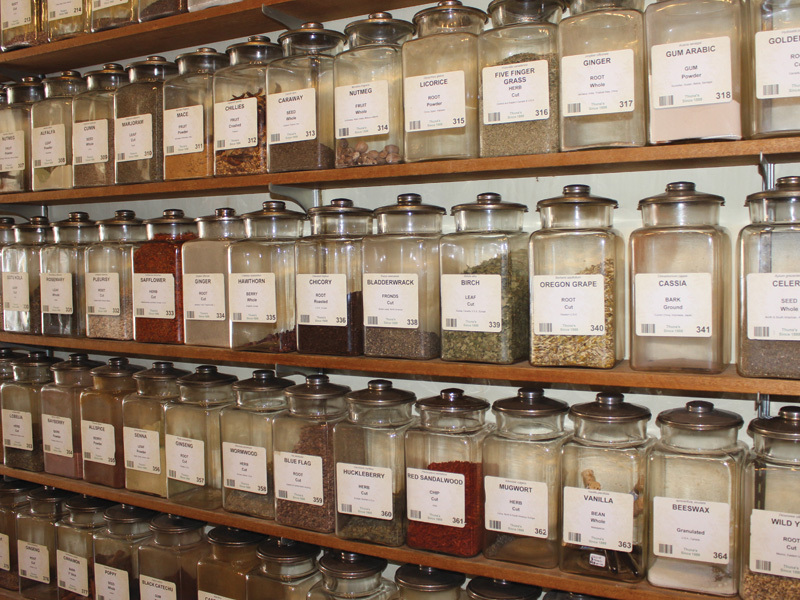 The intimate Danforth Avenue store, that’s redolent of the past and lined with more than 1,500 vintage apothecary jars, is perhaps better known for its history than its herbs. 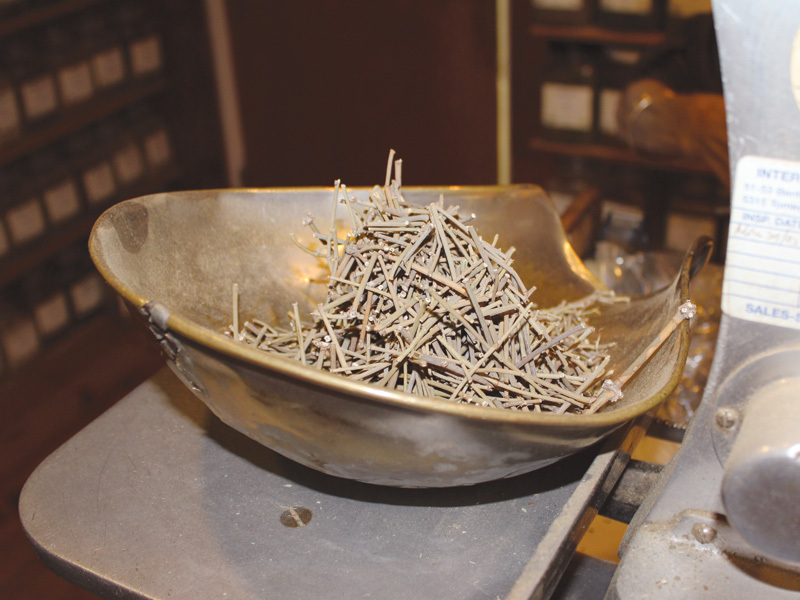 Thuna planted the first seeds of his nearly 125-year-old legacy at a small shop on Queen Street West in 1888. 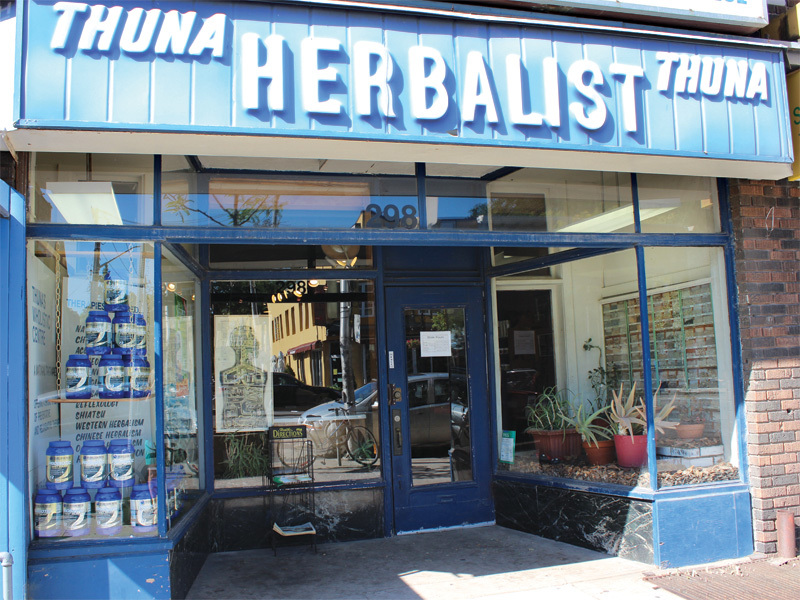 The former storefront was, at the time, swathed in block-lettered promises of herbal remedies — something Dorfman says wouldn’t be acceptable today. 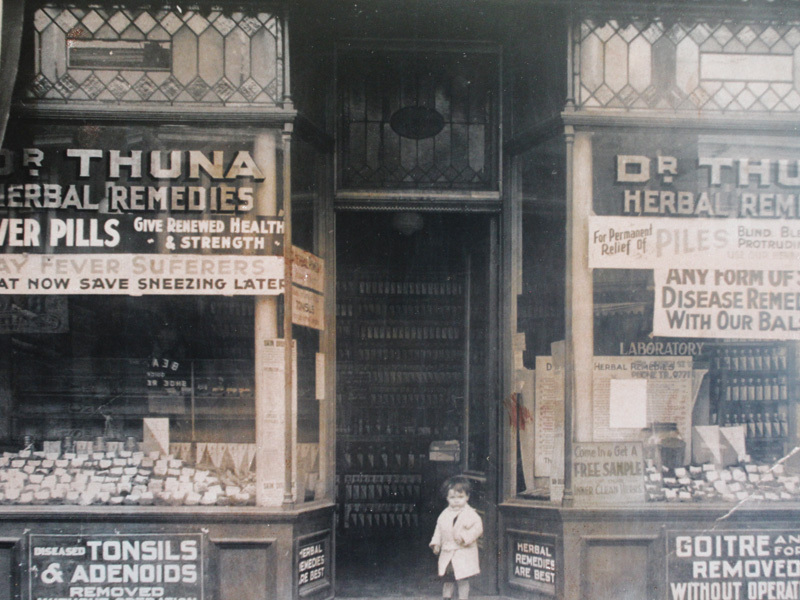 “My first memory of Dr. Thuna was when I was about two or three years old and I visited him in his store. 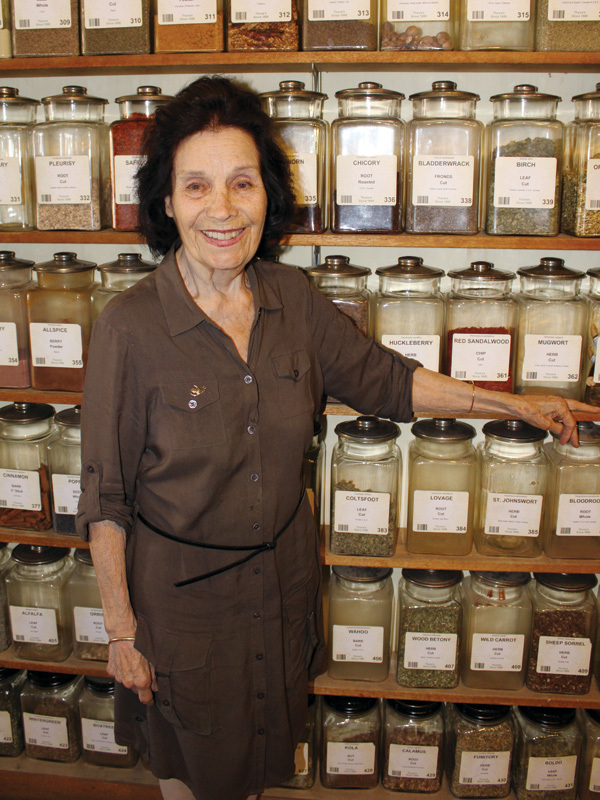 He was sitting at a desk and he smiled at me,” says Dorfman, who went on to pursue a successful singing career before studying herbalism and taking over the Danforth store. “I was looking for something that satisfied me at that time and I always loved this place. Moments after the interview, a woman walks into the small store and whispers to her friend, “My husband tells me she’s famous.” The pair stares at the animated animal lover as she hops around, minding her herbs, in her kitten heels and idiosyncratic style.